18. Rrp12 and the Exportin Crm1 participate in late assembly events in the nucleolus during 40S ribosomal subunit biogenesis. Moriggi G, Nieto B, Dosil M.
PLoS Genet. 2014 Dec 4;10(12):e1004836. doi: 10.1371/journal.pgen.1004836. eCollection 2014 Dec.
17. Whole-genome expression profile in zebrafish embryos after chronic exposure to morphine: identification of new genes associated with neuronal function and mu opioid receptor expression. Herrero-Turrión MJ, Rodríguez-Martín I, López-Bellido R, Rodríguez RE. BMC Genomics. 2014 Oct 8;15:874. doi: 10.1186/1471-2164-15-874. 16. PTPN13 regulates cellular signalling and β-catenin function during megakaryocytic differentiation. Sardina JL, López-Ruano G, Prieto-Bermejo R, Sánchez-Sánchez B, Pérez-Fernández A, Sánchez-Abarca LI, Pérez-Simón JA, Quintales L, Sánchez-Yagüe J, Llanillo M, Antequera F, Hernández-Hernández A.
Biochim Biophys Acta. 2014 Dec;1843(12):2886-99. doi: 10.1016/j.bbamcr.2014.08.014. Epub 2014 Sep 3. 15. The guanine-exchange factor Ric8a binds to the Ca²⁺ sensor NCS-1 to regulate synapse number and neurotransmitter release. 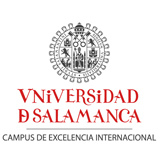 Romero-Pozuelo J, Dason JS, Mansilla A, Baños-Mateos S, Sardina JL, Chaves-Sanjuán A, Jurado-Gómez J, Santana E, Atwood HL, Hernández-Hernández Á, Sánchez-Barrena MJ, Ferrús A.
J Cell Sci. 2014 Oct 1;127(Pt 19):4246-59. doi: 10.1242/jcs.152603. Epub 2014 Jul 29. 14. PINK1 deficiency sustains cell proliferation by reprogramming glucose metabolism through HIF1. Requejo-Aguilar R, Lopez-Fabuel I, Fernandez E, Martins LM, Almeida A, Bolaños JP. Nat Commun. 2014 Jul 24;5:4514. doi: 10.1038/ncomms5514. 13. Dose reduction of efavirenz: an observational study describing cost-effectiveness, pharmacokinetics and pharmacogenetics. Martín AS, Gómez AI, García-Berrocal B, Figueroa SC, Sánchez MC, Calvo Hernández MV, Gonzalez-Buitrago JM, Valverde Merino MP, Tovar CB, Martín AF, Isidoro-García M.
Pharmacogenomics. 2014 May;15(7):997-1006. doi: 10.2217/pgs.14.48. 12. Erythrocyte fatty acids as potential biomarkers in the diagnosis of advanced lung adenocarcinoma, lung squamous cell carcinoma, and small cell lung cancer. de Castro J, Rodríguez MC, Martínez-Zorzano VS, Sánchez-Rodríguez P, Sánchez-Yagüe J. Am J Clin Pathol. 2014 Jul;142(1):111-20. doi: 10.1309/AJCP1QUQQLLT8BLI. 11. Oleic acid synthesized by stearoyl-CoA desaturase (SCD-1) in the lateral periventricular zone of the developing rat brain mediates neuronal growth, migration and the arrangement of prospective synapses. Polo-Hernández E, Tello V, Arroyo AA, Domínguez-Prieto M, de Castro F, Tabernero A, Medina JM. Brain Res. 2014 Jun 27;1570:13-25. doi: 10.1016/j.brainres.2014.04.038. Epub 2014 May 15. 10. NADPH oxidases as therapeutic targets in chronic myelogenous leukemia. Sánchez-Sánchez B, Gutiérrez-Herrero S, López-Ruano G, Prieto-Bermejo R, Romo-González M, Llanillo M, Pandiella A, Guerrero C, Miguel JF, Sánchez-Guijo F, Del Cañizo C, Hernández-Hernández A.
Clin Cancer Res. 2014 Aug 1;20(15):4014-25. doi: 10.1158/1078-0432.CCR-13-3044. Epub 2014 May 15. 9. Contribution of the R-Ras2 GTP-binding protein to primary breast tumorigenesis and late-stage metastatic disease. Larive RM, Moriggi G, Menacho-Márquez M, Cañamero M, de Álava E, Alarcón B, Dosil M, Bustelo XR. Nat Commun. 2014 May 14;5:3881. doi: 10.1038/ncomms4881. 8. In vivo regulation of NGF-mediated functions by Nedd4-2 ubiquitination of TrkA. Yu T, Calvo L, Anta B, López-Benito S, López-Bellido R, Vicente-García C, Tessarollo L, Rodriguez RE, Arévalo JC. J Neurosci. 2014 Apr 23;34(17):6098-106. doi: 10.1523/JNEUROSCI.4271-13.2014. 7. Dichloroacetate prevents restenosis in preclinical animal models of vessel injury. Deuse T, Hua X, Wang D, Maegdefessel L, Heeren J, Scheja L, Bolaños JP, Rakovic A, Spin JM, Stubbendorff M, Ikeno F, Länger F, Zeller T, Schulte-Uentrop L, Stoehr A, Itagaki R, Haddad F, Eschenhagen T, Blankenberg S, Kiefmann R, Reichenspurner H, Velden J, Klein C, Yeung A, Robbins RC, Tsao PS, Schrepfer S.
Nature. 2014 May 29;509(7502):641-4. doi: 10.1038/nature13232. Epub 2014 Apr 20. Biochem J. 2014 Mar 15;458(3):e5-7. doi: 10.1042/BJ20140087. 5. A cell-penetrating peptide based on the interaction between c-Src and connexin43 reverses glioma stem cell phenotype. Gangoso E, Thirant C, Chneiweiss H, Medina JM, Tabernero A. Cell Death Dis. 2014 Jan 23;5:e1023. doi: 10.1038/cddis.2013.560. 4. Morphine modulates cell proliferation through mir133b &mir128 in the neuroblastoma SH-SY5Y cell line. Gonzalez-Nunez V, Noriega-Prieto JA, Rodríguez RE. Biochim Biophys Acta. 2014 Apr;1842(4):566-72. doi: 10.1016/j.bbadis.2014.01.003. Epub 2014 Jan 14. 3. The role of reduced intracellular concentrations of active drugs in the lack of response to anticancer chemotherapy. Marin JJ, Monte MJ, Blazquez AG, Macias RI, Serrano MA, Briz O.
Acta Pharmacol Sin. 2014 Jan;35(1):1-10. doi: 10.1038/aps.2013.131. Epub 2013 Dec 9. Review. 2. Pretreatment of urine samples with SDS improves direct identification of urinary tract pathogens with matrix- assisted laser desorption ionization-time of flight mass spectrometry. J Clin Microbiol. 2014 Jan;52(1):335-8. doi: 10.1128/JCM.01881-13. Epub 2013 Nov 13. 1. Modulation in the expression of SHP-1, SHP-2 and PTP1B due to the inhibition of MAPKs, cAMP and neutrophils early on in the development of cerulein-induced acute pancreatitis in rats. García-Hernández V, Sarmiento N, Sánchez-Bernal C, Matellán L, Calvo JJ, Sánchez-Yagüe J.
Biochim Biophys Acta. 2014 Feb;1842(2):192-201. doi: 10.1016/j.bbadis.2013.11.003. Epub 2013 Nov 10.